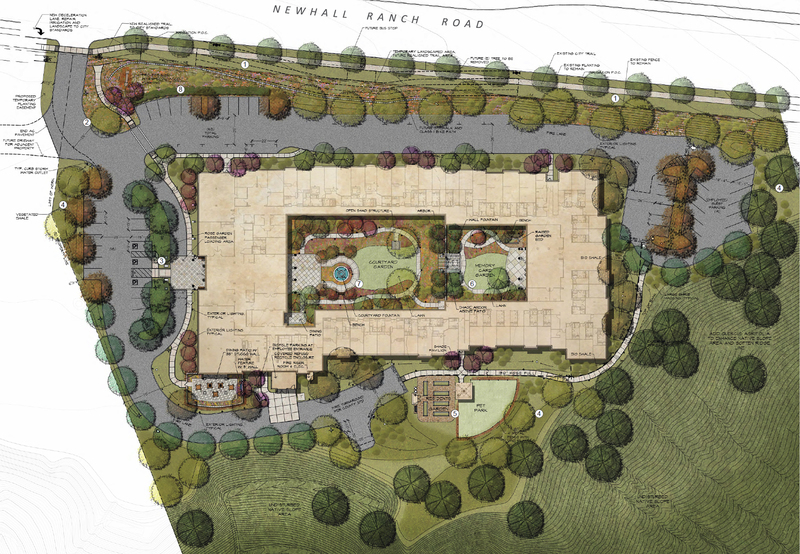 SCVHistory.com | Valencia | Planning Documents: Oakmont Senior Apartments, Newhall Ranch Road, 2014. City of Santa Clarita | July 1, 2014. 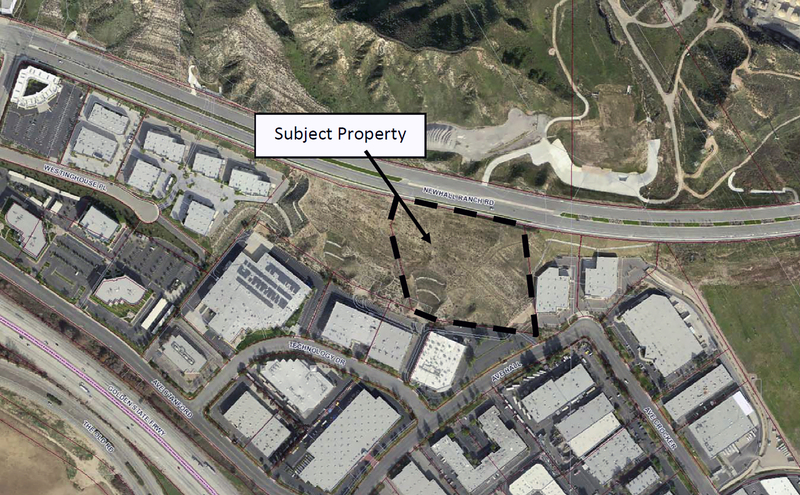 The subject property is located south of Newhall Ranch Road between West Rye Canyon Road and Vanderbilt Way at APN 2866-035-006 in the City of Santa Clarita. The proposed facility consists of an 81-unit Residential Service/Care Facility comprising approximately 85,500 square feet and measuring 36"-1' at its highest point. The project would provide senior citizens with an active living environment that includes on-site medical supervision. A variety of amenities are incorporated into the site including a central quad, a green for pets, walking paths, outdoor dining areas and a community garden. Approximately 25 percent of the units would be dedicated for the care of patients with Alzheimer's Disease. The subject property is approximately eight-acres in size and consists of a certified pad that was created in 2007. The developable portion of the project site consists of a certified pad at grade with Newhall Ranch Road. The remainder of the site slopes down approximately 80 feet from the pad to the south. The project will include planting of oak trees on the existing engineered slopes. CLICK TO ENLARGE. See .pdf for key. CLICK TO ENLARGE. Current view (2014) of site entrance near Newhall Ranch Road, looking southeast. CLICK TO ENLARGE. Artist's rendering.